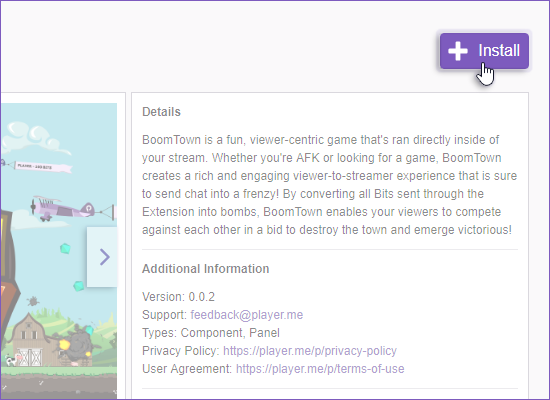 If you’re a Twitch Affiliate or Twitch Partner, you can add the BoomTown arcade to your stream to give your viewers a fun and exciting way to support you using Cheers. This guide will show you how to install BoomTown and add it onto your broadcasting software. 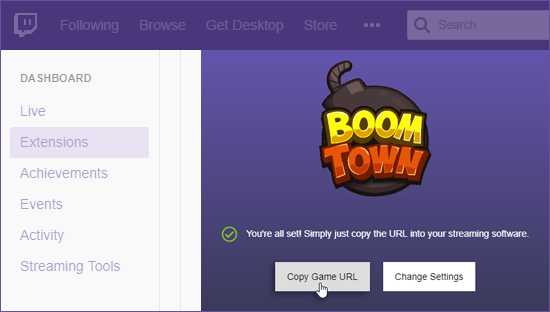 Note: To use BoomTown, you will also need a Player.me account with Twitch linked. To learn how to do this, click here. The BoomTown extension can be found on this link. Once there, click Install. Click Configure and then Copy Game URL. With the URL copied, go to your broadcasting software such as XSplit or OBS and add it as a browser source. On XSplit: Click Add source… > Webpage, and paste the Game URL on the field. Be sure to set the width and height, then click OK.
On OBS Studio: In the Sources area, click the + button > Browser, then paste the Game URL on the URL field. 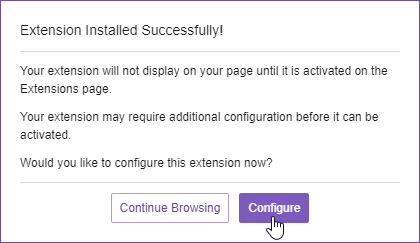 Set the width and height, and then click OK.
BoomTown is now setup on your Twitch! To start a game, just enter !boomtown start on your Twitch chat and !boomtown end to finish. To add more options for your viewers to interact with the game, click here.